Hosting a holiday catalog event is always fun—and Stampin' Up! 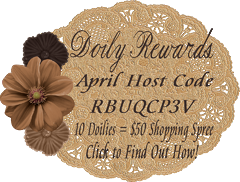 just sweetened the deal with their exciting Merry Patterns Host Promotion. 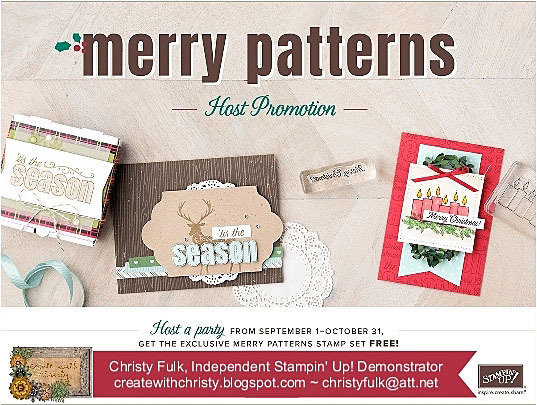 If you host a party with $300 in sales (before shipping & tax) between September 1 - October 31, you'll earn the FREE Merry Patterns Stamp Set, in addition to all of the regular Stampin' Rewards you'll qualify for. Check out the video below with samples made with this wonderful new set. 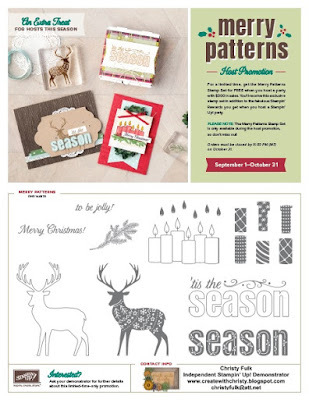 This stamp set is exclusive to hosts with a $300 qualifying order during September 1- October 31. After October 31, the stamp set will be gone forever! 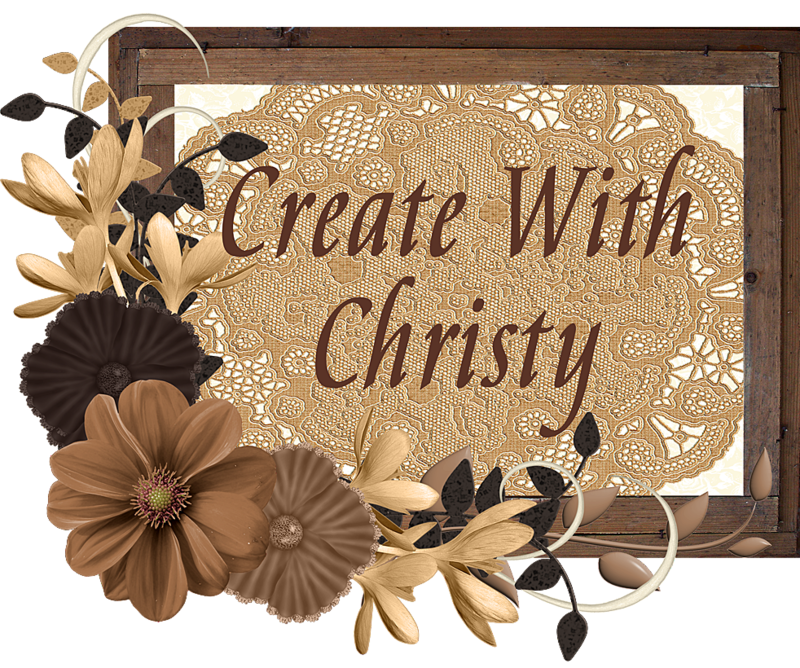 I offer in-home workshops to people that are local to me. 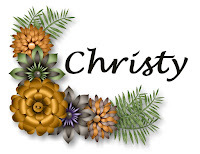 I also offer Facebook Workshops and Catalog/Online Order Workshops to everyone in the United States that doesn't have an Independent Stampin' Up! Demonstrator of their own. 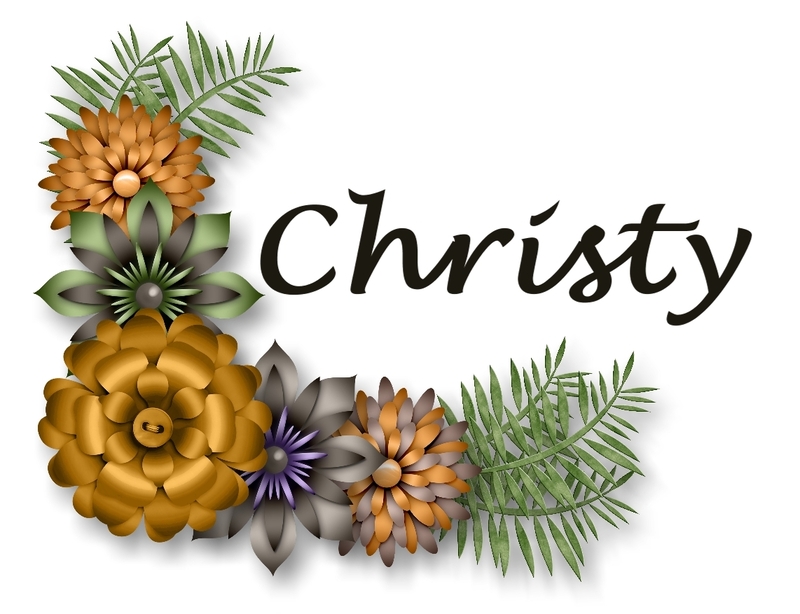 Contact me to schedule your event today! I've got a Facebook Workshop in the works right now, and I'll let you know when I have it scheduled. Once I have it scheduled, you can attend. Then, you'll see for yourself how much fun it'll be to host your own Facebook Workshop. I'll share the details here on my blog soon! Of course, you can place a $300 order (before shipping & tax) yourself at my ONLINE STORE beginning this Friday, September 1. 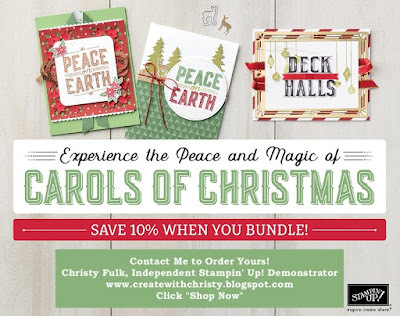 If you do, you'll get this wonderful Christmas set in addition to all of the regular Stampin' Rewards you would usually earn! 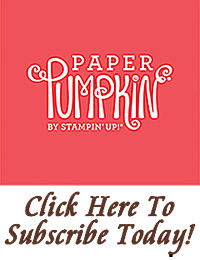 You'll need to enter the Item #144973 in the Stampin' Rewards section in order to get it. 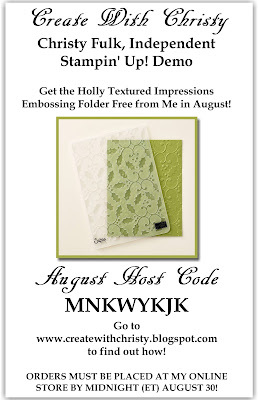 Get the Holly Textured Impressions Folder FREE with a qualifying order in August from me! Offer ends August 30, 2017. Click on the picture to find out how you can get it! My August Thank You Gift!